Keep your drink as warm or cold for as long as it takes to enjoy it with this clear 16oz double walled coffee mug with St. Lawrence shield patch insert. 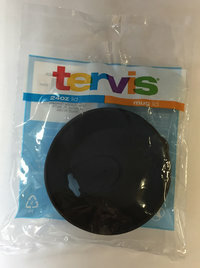 Tervis travel lid fits the 16oz Tervis tumbler. 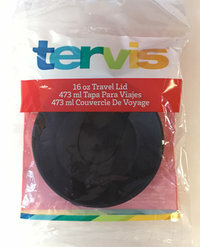 Tervis travel lid fits the 16oz Tervis coffee mug. 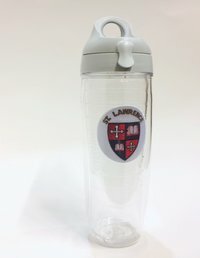 Keep your drink as warm or cold for as long as it takes to enjoy it with this clear 12oz insulated tumbler with St. Lawrence shield patch insert. Tervis is for everyone, everywhere. Lifetime guarenteed by Tervis. This 16oz double walled tumbler keeps drinks hot and cold and is dishwasher safe. This 24 oz. water bottle with St. Lawrence patch keeps your iced drink cold all day. Double-walled insulation reduces condensation. 2oz marker lines. Comes with a twist off, flip top lid for easy hydrating. BPA free; bottle is dishwasher and microwave safe, lid is top rack dishwasher safe. Made in America. Lifetime guaranteed by Tervis.